Between 6th-9th July 2017, idol group WASUTA will be performing at JAPAN EXPO in France. Today, we will be taking a closer look at this girl group, who have attracted lots of attention from all around the world. -I know this is a bit straight to the point, but what kind of idol group is WASUTA? Hirokawa: “WASUTA” is an abbreviation for “The World Standard”. We Japanese write the Japanese word “kawaii” (cute) in simple hiragana characters all the time because it looks cuter that way In a similar way, we write “WASUTA” in hiragana for the same effect. To answer your question, we aim to spread “Kawaii” Japanese culture around the world – “cute Japanese culture” is our main concept. We wear pastel-themed costumes that represent a “dreamy cute” feeling, and for this upcoming gig, we will be wearing Harajuku cotton candy-themed hats. All our costumes feature an element of “moe”. “Moe” refers to cute anime crush love! An example of our moe-themed costumes are our cat ears – we are definitely going to wear them! – Now, if you could describe the character of each band member in one sentence, what would it be? Starting with the pastel green leader Nanase Hirokawa! Kodama: 50% levelheaded person, 50% clumsy, I would say haha. -How about the pastel pink idol Naruka Mishina? Matsuda: You can’t judge her based on how she looks – she’ll surprise you! -How would you describe the pastel yellow Hazuki Sakamoto? -And what about the pastel blue Ririka Kodama? -And finally, what would you say about the pastel purple Miri Matsuda? ― As a band full of tension, as expected you’re all pretty good friends right? Do you go to Harajuku in your own spare time for fun? Matsuda: I go round the cute cafes and delicious curry restaurants. There was a time I couldn’t stop going to one curry restaurant lol. There are loads of 100-yen shops along Takeshita Street and as a person who loves handicrafts, this is definitely a selling point! Hirokawa: Harajuku is a great spot for picking up cheap goods. There are loads of visitors who express their individuality and there are so many foreigners too. Watching people take pictures at the entrance to Takeshita Street is also fun! Mishina: The streets are overflowing with cute people too! -How would you describe the district of Harajuku? Hirokawa: To us, Harajuku is a really cosy place to be. Sakamoto: Yeah. People tend to think that Harajuku, is the place of dreams and aspirations but if you go there yourself, it’s more fun and comfortable I would say. Mishina: It’s also the source of youth culture. Matsuda: This is the source of Harajuku-style girls – this is where they gather and share their fashion. -I heard that your costumes were designed by fashion model and voice actress Yu Kimura! Hirokawa: That’s right. This is the 4th time we’ve worn costumes designed by her. Kodama: She uses lots of colours which gives the costumes a “dreamy cute” theme. They are unique – nobody else can make costumes like them! Hirokawa: Our third single “Just be yourself”, is the theme song for the anime “Idol Time Pripra”. Our skirts were designed with the letters “PRPR” – that’s the main attraction you should be looking out for! Matsuda: Our socks also feature a cute design – a design that would even suit a small child. Anyway, each of our costumes are slightly different and our outfits don’t really focus on headwear! -And your production team, I’ve heard, consists of young female creators, right? Hirokawa: Yep, that’s right. The producing was directed by Mofuku-chan (Maiko Fukushima), who also produced for Dempagumi.inc. Kodama: Our choreography and music is directed by female creators. Each song is completely unique and the choreography fits perfectly to boot – so cool, cute and trendy! Every single time I am overwhelmed by how awesome it all is! Mishina: We are WASUTA – produced by girls to enhance the concept of cute! -Let’s talk a bit about JAPAN EXPO now. How did you feel when you found out that for the first time, you’ll be performing live in France? Hirokawa: We couldn’t believe it! Up until now all our live performances have been focused around Asia….but now we’re finally hitting Europe! JAPAN EXPO itself is a huge event that spreads Japanese culture, secretly I was just thinking to myself that I really wanna perform in Paris – I’m soooo happy! -I’m so happy for you all! Now that your plans for you to perform live in France had been finalized, surely you’ve all been more hyped than ever? Hirokawa: Of course! Recently, we’ve all been strengthening our language skills. Originally, Ririka and I were in charge of English, Naruka was in charge of Korean, Miri was in charge of Chinese and Hazuki was studying French. We eventually started to skip many of our language classes, but after hearing the news we’ve all been trying to make time to study harder! Mishina: We’ll be heading to many places where people don’t know WASUTA, so we’re serious about upping our language game in order to connect with new people. Kodama: When foreigners come to Japan, I’ve seen people try their best to speak Japanese – even if it’s just a little. This makes me so happy. I feel like I have a connection to these people and that’s why I want to do the same. -What precisely is the secret to WASUTA attracting so much attention from overseas fans? Hirokawa: As we are going to Europe, we will infiltrate the barrier between the people with Japan’s “Kawaii” (cute) charm. When fans see our costumes and our appearance, they recognize us as cute. We also perform gothic rock and different genres of music. Soon, people naturally come to like us. -I’ve seen your music videos on YouTube – there are English subtitles on your videos, aren’t there? Matsuda: That’s right! We want to attract not just Japanese fans, but fans from all over the world! Speaking of YouTube, please use your smartphones only for filming our live performances, okay? Fans take pictures and videos of our performance and upload them onto SNS websites and YouTube. If you search the web, you’ll be able to find our gigs easily anywhere in the world thanks to these fans. Mishina: Just like sharing our pictures, we have outfits with our Twitter account name written on it! I hope we can spread the news of WASUTA more at JAPAN EXPO! -What do you want spectators at JAPAN EXPO to particularly notice about you? Kodama: The words to our songs and our choreography show an insight to our world – I want people to enjoy it! Matsuda: I think they should watch our music videos lots and lots – that way they’ll enhance their experience. Mishina: My recommended music video is “Ultra Miracle Ultimate Chocolate Beam” – the Japanese lyrics use such unique words – it’s such an interesting song! Matsuda: I recommend “Dogs & Cats, In the Bloom of Youth” – the fans can learn so many cute Japanese phrases and then we can dance together! -And last of all, do you have a message for your fans? Sakamoto: For our overseas fans – in order for you to feel the cuteness of Japan, we’re dressing up in pastel colours and cat ears. This is our ultimate charm point! I hope you enjoy our outfits! Hirokawa: And for the fans who are coming from Japan to support us – we will definitely give you the best night of your life! By the way, we are collaborating with H.I.S, so we recommend you check it out! This includes a party where we will eat together, and a mini live! This is your chance to get to know us. It includes sightseeing and much more over a four-day period. This is something you cannot get in Japan! As we’re coming from a far away country, we are going to deliver something really special to you all! Formed on 29th March 2015, WASUTA aims to make fans all over the world. This is a group of digital native generation idols. 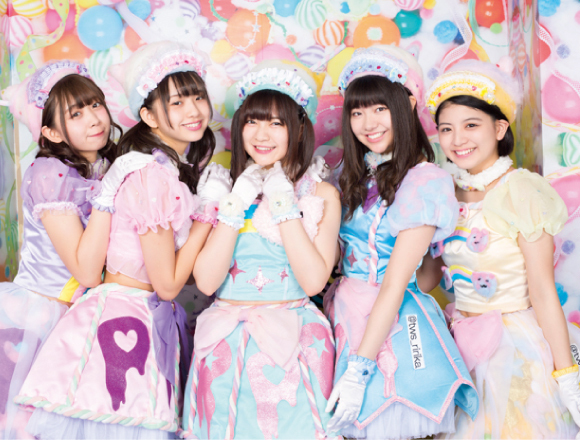 Through SNS and live appearances, WASUTA idol group spreads “KAWAII” Japanese culture around the world. 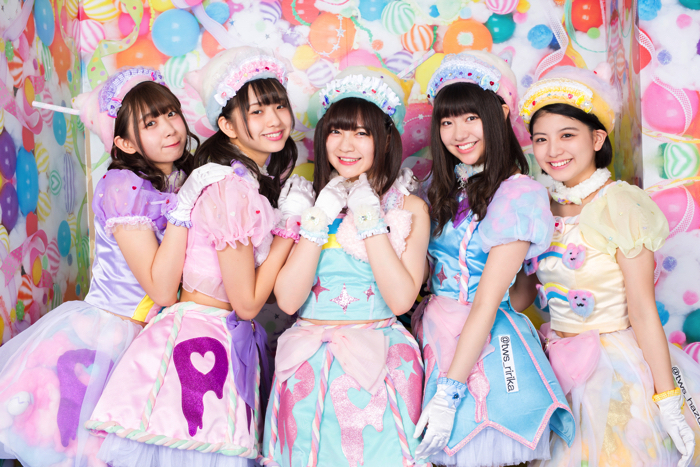 Related article：WASUTA clear their latest level “WASUTA LAND W1″ – a new regular concert in Taiwan built around the concept of a video game! Related article： Japanese idol group WASUTA to perform in Paris at JAPAN EXPO in July! Japanese Idol Group Wa-Suta wowed the stage at JAPAN WEEKEND MADRID 2018! Featuring their collaboration with Spanish band Adexe y Nau!